The wind teased me as I marched towards the tube station. It was two days before the end of the month and although it had dropped by a few degrees, I was determined not to wear a coat. Coats were for wimps. Besides, I'd said to myself, no more layers until November. I was in no rush to welcome in the dark nights, cold hands and that annoying feeling that I'd be deficient in Vitamin D for the next few months. So I pretended it was still summer. Or thereabouts. Whatever the season, I was always sweating by the time I reached the underground. I was a fast walker. I boarded the tubular furnace, pulled down the sash without any undue regard for the other passengers and positioned myself in the path of maximum airflow. 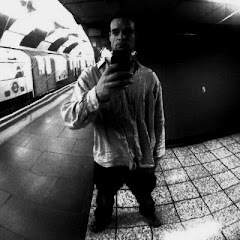 I'd have been dry again by London Bridge but tonight, I was journeying north. I'd first discovered Floria quite by accident after a work night out in Dalston just over a year before. I'd been walking back along Kingsland Road towards the city and had grabbed a kebab before hopping on a bus. I'd not since returned as it wasn't exactly on my doorstep but something drew me back there tonight. No doubt the hazy memory of astounding flavours that had registered somewhere deep in my psyche despite my inebriation. 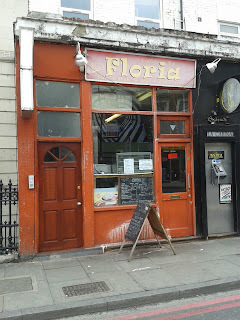 Floria was my favourite kebab shop in London and tonight I was going to go back there. At Shoreditch, I alighted and made the fifteen minute stomp northward. I passed pizza places, Vietnamese restaurants and three other kebab shops until finally, I reached the unassuming shopfront. It was dead inside just like last time. A scruffy, middle-aged gent was sat at a small wooden table to one side that looked like it belonged to neither staff, nor diner. "Ali!" he hollered "Customer!". A rumbling sound came from the back room. Moments later, the fat seventy year old appeared and waddled over to the cash register. With a raise of his eyebrows, he silently asked my choice. A chicken donner and chips. I sat down to wait. The place hadn't changed in a year. It probably hadn't changed in forty. Floria first opened in 1969, making it the oldest kebab shop in East London. Cash-only. Hand-written menus. The old codger probably cut the chips himself. They were incredible. Culinary aficionados would be able to tell what he'd used to fry them but as far as I was concerned, it was magic. They were like no other chip I'd tasted. The meat came sprinked in a home-made seasoning, which again was completely original and tantalisingly flavoursome. It made a complete embarrassment of your average kebab shop with their unremarkably bland offerings. It wasn't too greasy or hidden under too much salad. I wondered if many people knew about Floria. It had two Google reviews, both rated five stars. One just said "The wedges!!" while the other had written "Lamb kebab was great" and left it at that. Not exactly the most detailed feedback ever written but I couldn't disagree with the ratings. Ali probably didn't even know about them but I couldn't resist making a contribution so I typed the name into Google, clicked on the reviews link and typed up my thoughts. Must admit I started off thinking you’d had enough and was legging it to sunny Florida. Yeah coats definitey signal the wind down to the hibernating season. I’m alright up til Christmas, but January comes and I may as well be a bear. Oh I so hope he reads your review, I’m sure it would really make his day. Not enough bigging it up for the small guys these days. I’m a bit addicted to chilli based foods. Also love spicy Indian, Thai and Chinese food. If I had to make a ‘last meal’ request though, it would be one of my Sunday roasts. Aww :( that reminds me of my ex-girlfriend. She loved chili sauce (and was from an Indian family). Ha, you make your own favourite Sunday roast? That's handy! My last request? Whatever takes the longest to eat!! Seriously though, I would have a meat fondue with some rocket, a mountain of salted fries and five kinds of mayo. Was you x a good cook. I always imagine Asian ladies are? Yeah it would have to be my roast because I butter roast my carrots, steam my greens and roast some sliced onions under the meat (in a little water) til they go all caramalised and serve it as a sort of relish. Yorkshire puds and loads of butter roasted crispy potatoes too. Meat fondue!? It must taste a lot better than it sounds......what on earth is it? It can’t be what I’m imagining which is a slurry of ground up meat........no must be bits of meat to dip in fondue. Hmmmmm, never tried it. Yeah fries. Yum. I’d have mine with a medium rare beef fillet with of course a chilli butter sauce. 5 mayos!? You Londoners know how to live. I didn’t even know there was more than 1 til last month when I spotted a chilli one. Yes I bought it. Ummmmm, lovely home baked warm bread. Might treat myself if I was about to snuff it.